After all this time, some major problems the show set up for itself are finally addressed—though the conveniently timed pseudo-explanations may (nay, will) leave you with more questions than answers. But at least there’s some forward progress with Won, even if it took seventeen years for him to just change his mind. At the end of the day, it comes down to honesty and openness, of which no character has in spades. Or even in travel size. Or at all. Now that Won wants them to go back to being the way they once were, Hana mentions how she felt like she’d lost him as a friend when he went on his endlessly long thirty day trip. But then she worried that she was being selfish by wanting to be that close to him again. Won smiles at her and says that just because they’ve spent seventeen years together doesn’t mean that they have to become lovers or anything. “I think it has a deeper meaning to it than that,” he adds. “As friends?” Hana clarifies. “As friends,” he replies, then takes her by the hand. She jokes that she’ll support his relationships in the future, and he jests back that supporting isn’t enough—she has to refrain from judging his girlfriends too harshly. Cue Seo-hoo, who’s seen some of the exchange and breaks things up by grabbing Hana’s hand. “Whether you two are friends or not, I won’t tolerate you being close to Hana,” he growls before dragging his girlfriend away. Seo-hoo tears into Hana once they’re alone for going straight to Won after they fought, and this time, Hana actually defends herself and tells him he should’ve asked her why she was with Won before jumping straight to being angry with her. Won is her friend, she adds emphatically, just like he was the day Seo-hoo left her and today. He doesn’t believe her, which only rankles her more—why doesn’t he believe her? Why did he leave her three years ago without saying a word when he could have just confronted her like this? And didn’t she not care about this one episode ago? “Despite what everyone said, and even though my family didn’t approve, I chose you over my longest friendship. Because even the memories of being hurt by you didn’t matter at all to me. Because you are someone I can’t push away,” Hana says. Seo-hoo pulls her into an embrace then and says he’s sorry. Hana’s anger instantly melts away, while Won is left to wander home in sadness. Hana has a frosty meeting with President Min at work the next day, since she won’t just lie down and take it when the agency woman casually tells her to leave the collaboration project, since the benefit concert she’s been planning with Seo-hoo might be cancelled. When asked whether she’s discussed this with Seo-hoo, President Min simply says that she’s the one who represents the company. If that’s so, Hana replies, then her job is to take care of her artist’s reputation—and how is she going to do that when she keeps canceling his scheduled events? President Min takes offense to this, since she’s not used to being criticized. “I’m not criticizing you. I simply don’t understand,” Hana clarifies. She doesn’t take President Min’s answer that there will always be things in this world she can’t understand, and says that’s not an excuse in the world she lives in. She calls Seo-hoo for clarification, but he just tells her not to take President Min seriously and to continue on with the benefit concert as planned. On one of his flights, Won recognizes one of his old high school teachers and asks if he remembers him. The old man does, and flashes back to when he’d spotted a freshly beaten Won staring forlornly out the window. He’d looked outside and saw Hana there, and drew the inevitable conclusion that Won liked her, though Won vehemently denied it. He’d admired Won for his writing talent back then, even though he’d cautioned Won not to become a writer, or else he’d end up hungry. In the present, his teacher wants them to meet again, since he still has the script Won wrote in high school. Then he takes Won by the hand and adds that he should live every moment without regret. So-eun watches the exchange and sighs that Won really is something special. Seo-hoo holds a fan signing event for Hana’s company as he promised, which President Min watches with a sour expression. Meanwhile, Mi-hyang goes on a date with Teacher Park at a jjimjilbang, which she is not happy about. But no matter how much she complains about wanting to break up already, Teacher Park takes it all in stride and just says he’ll call her even after she says it’s over. Hana brings groceries home to make a meal for her family, and when Mom is all, No no, you don’t have to cook, it’s because she really doesn’t want Hana to cook. No one does since she’s awful at it, which send Dae-bok running over to Won’s for help. Of course, Won is the only one who would defend Hana’s cooking, even though he’s tasted its terribleness before. But when Dae-bok shares what he knows about Seo-hoo’s scandalous relationship with President Min, Won remembers seeing them together at the airport. The faces of Hana’s family mirror the sad face on her shirt when she presents her homemade dinner to them, only for them to be surprised when it’s actually good. Won is devastated to receive word that the teacher he recognized on the flight has passed away from cancer and attends his funeral. Hana and their other high school buddies are also in attendance, and find that their late teacher left files for his former students by year. One of their old classmates notes that this is only the second funeral he’s attended for someone in their high school—the first being for a kid named Dae-yoon, who was a close friend of Won’s. He looks uncomfortable when Dae-yoon’s name is then brought up to Hana, who remembers him vaguely, but had no idea he liked her. The files left behind by their teacher are full of photos of each of them (it’s less creepy than it sounds, I hope), including one he took of Won when he was staring out the window at Hana. But in Won’s file he’s also included the script scenario he wrote, which he’d rather hide from Hana. President Min pays an unwelcome visit to Seo-hoo, acting the part of the chaebol mother with how she gloats about being able to control Seo-hoo’s dating life. Seo-hoo wants to end their contract, saying that he only made the agreement because of Hana. She just has one more thing to ask before she leaves: Why Hana? She doesn’t need his answer though, since she smiles slyly that she always did like his immature side. Seo-hoo goes running straight to Hana and pulls her into his arms before she can even ask what’s happening. But even when she does, it’s not like he’s about to tell her anything even remotely resembling the truth. He takes out his angst on the piano, and even though it’s clear something’s wrong, he refuses to open up to Hana. She mentions that he didn’t even ask about her teacher’s funeral today, and he asks about it robotically. How can she still be surprised that he’s so inconsiderate? 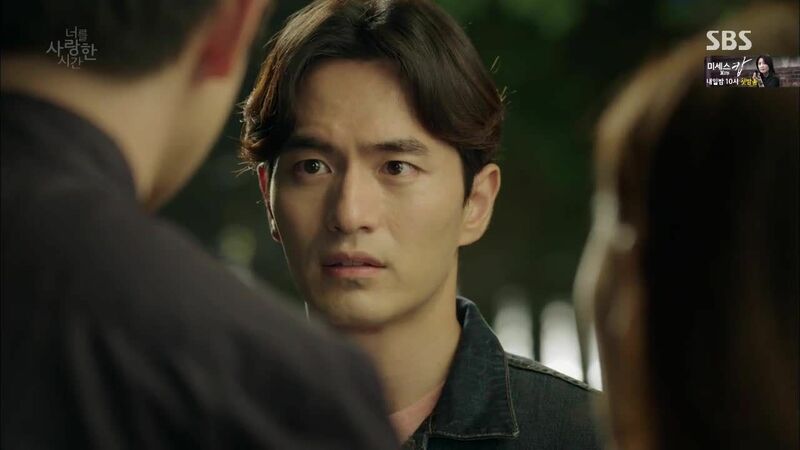 Won pays a visit to the aforementioned late friend Eun Dae-yoon’s grave, and remembers how his friend had entrusted him with love letters to give to Hana that he never delivered because of his own feelings for her. Won finds Hana walking home dejectedly after such a hard day, and she appreciates having him walk ahead of her, since it means she doesn’t have to worry about her facial expression. Won, similarly, finds the same benefit walking where she can’t see his face either. 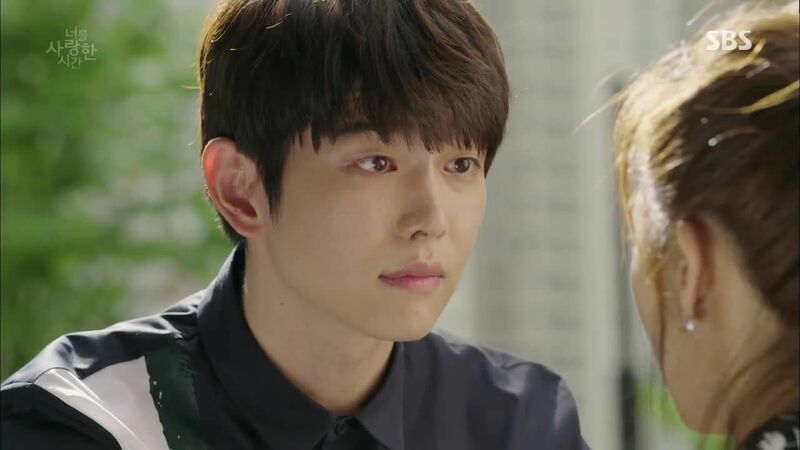 She’s her usual dismissive self when he asks whether she sorted things out with Seo-hoo, but she gets an unusual reaction out of Won when she asks to read his script scenario. He stops in his tracks, and any attempts to talk her out of seeing it don’t work, so he just has to agree instead. The Three Stooges want to do something for Won’s birthday coming up, and all cheer in unison when he agrees to take them out instead. So-eun brings the boys coffee, which Won accepts gratefully before bowing out quickly. Not the effect she was going for, I’m guessing. Despite her earlier protests, Mi-hyang joins Teacher Park for a much fancier date, though she’s not prepared for the guests he’s invited: Hana and Seo-hoo. Hana’s also taken by surprise, and awkwardly lets her hand drop from Seo-hoo’s grasp in front of her. When they get a chance to talk in private, Hana’s first reaction is to apologize to Mi-hyang, even though Mi-hyang doesn’t see a reason for her to be sorry. “I understand Won’s feelings, but I understand yours too,” she claims. Relieved, Hana plays the strength-based arcade game outside her and Won’s local corner store. Won knows something must be up when he spots her, so he takes her to a spot where they can drink beer and talk. Whatever happened to their rooftop hideout, anyway? Hana sighs that she doesn’t understand why she feels anxiety even when everything in her life seems to be going well, though Won claims that sometimes it’s more stressful to deal with everyday things rather than extreme situations. Going to their teacher’s funeral reminded Won of when his father passed away after being ill for so long, and he’s specifically reminded of the last moment they shared staring into each other’s eyes before he died. Hana remembers that moment in his life and how Won cried, which seems to surprise him: “Even in those days, you were there.” Of course, Hana replies—that’s the history of their loyalty to each other. To honor that history somehow, Won offers himself as a human punching bag instead of the arcade game. Hana gives it a go, but he catches her fist before it can hit his face, totally shocked that she was actually going to punch him if he hadn’t stopped her. Mi-hyang feels like she has to tell Won that she ended up going to lunch with Teacher Park, Hana, and Seo-hoo, but his reaction is practically a non-reaction aside from him wanting to meet the man she’s dating. He reassures her that she has no reason to feel guilty for liking who she likes. The next morning, Hana leaves Won with some healthy cookbooks addressed to “the friend who dodged my punch” on a post-it. 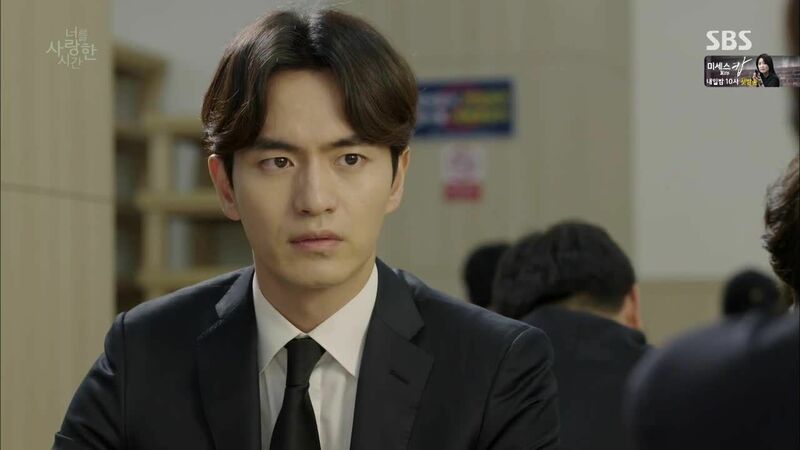 Assistant Hong finds Dae-bok at his part-time job and asks why they can’t make their relationship common knowledge, to which he replies that it’d look bad for her to be dating her boss’s brother. Until he can get his own big time job, he’d rather keep things quiet for now. Assistant Hong is so enamored with him that she’ll do anything he says. Won visits his old high school to do a special alumni presentation, where he takes questions from the class about his job and life. He admits that his original dream was to be a movie director and not a flight attendant, and that he gave up on that dream because he didn’t have enough talent. He says all of this very positively, but gets caught off guard when a line of more personal questioning ends up with one student asking him if he also gave up on making his friend-who-is-a-girl into his girlfriend. It gives Won pause, enough to admit to the class that he shouldn’t have used the term “give up” in the first place—especially with youngsters who are still new to the whole concept of having dreams and goals. “Rather than saying I gave up, I think I should say I’m waiting for something better to come along. Even though I’m a flight attendant now, if a chance arose, I could become a movie director. 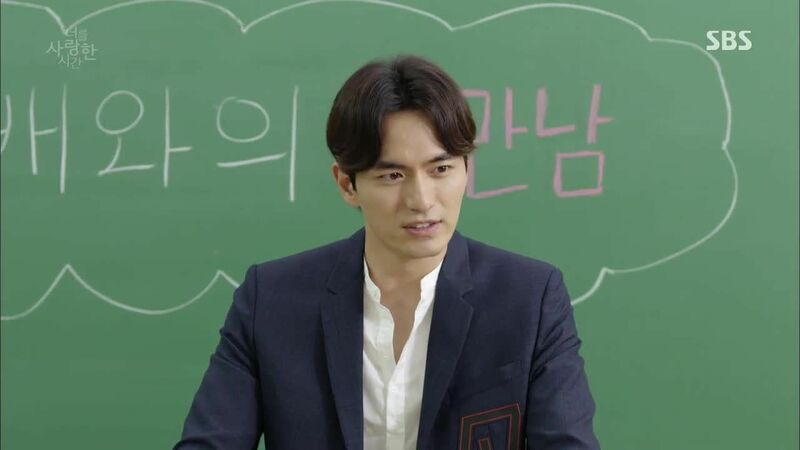 In the same way, a friendship has a chance of turning into love,” Won tells the class in a moving monologue. Walking the same path he and Hana used to walk together, Won remembers hiding his script scenario (entitled Summer Day) from Hana back in high school. In the present, he calls himself a fool. After a messy cut in and out of Hana’s office where Director Byun tells her that the benefit concert will be canceled, Hana meets with President Min to ask why she’s so insistent on canceling the concert when it’ll be the second time they’ve canceled a domestic concert. If you thought President Min got her position because of her business savvy, think again—the only reason she gives for canceling two concerts is that Seo-hoo will choose her over Hana. 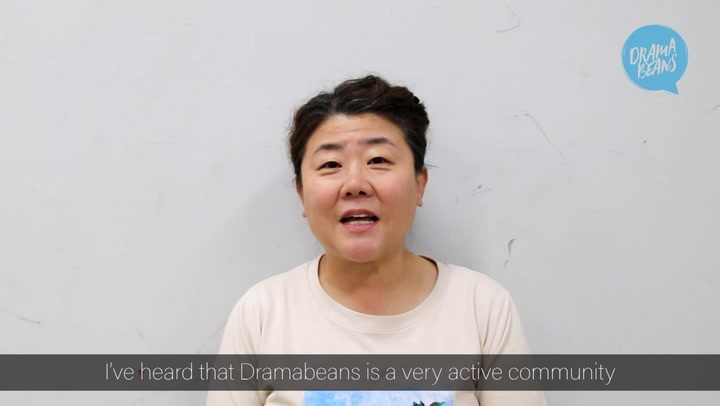 The speech that follows has been said by every generic chaebol mother ever, all “Settling down with a girl would waste his talents” and “You can just date and then break up with him.” The only difference is that President Min isn’t Seo-hoo’s mother, but the dynamic is the same old, same old. Visibly shaken, Hana calls Seo-hoo to ask him to come to her—only she won’t tell him where she is. “Just come and find me,” she sniffles. “There aren’t that many places for me to go. Honestly, I’m not even sure where I am right now. I’ll be waiting. Come find me.” I solemnly swear that I made none of that up. Seo-hoo finds her at the only park she ever goes to, because it was the last place they had a fight. He kneels down to break the news to her that he’ll have to go to Austria for just one week to sort out the performance dates President Min committed him to without his consent. When Hana finds out that he’ll be going with President Min, she begs him not to go. It’ll really be over between them if he leaves this time, even though he tells her it’s because of work and he’ll be right back. “If you really have to go, then don’t come back,” Hana all but cries. “I don’t have anything else to say besides that.” Except she does, because she tells him that she’ll imagine bad things during the time he’s gone. When he asks what kind of things, she answers in such a vague way that I’m not even sure she knows what she means. She’s so adamant about not wanting him to go that Seo-hoo asks if something happened, to which Hana’s only answer is, “Just don’t go. Just stay! Can’t you do that?” He reminds her that it’s just one week, and she drops her head. If he’s already decided, there’s nothing she can do but whine. Then she buries her face into her pillow and sobs uncontrollably. 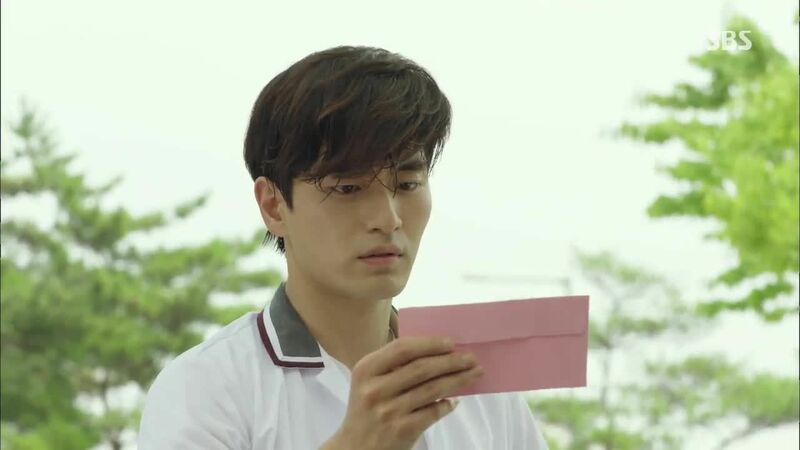 Won makes the Big Decision to let Hana see his high school script scenario by leaving it in her mailbox (“To my friend with a strong punch”). At work, he sees Seo-hoo and President Min before their trip together and likely figures out what’s going on. Hana doesn’t respond to a text Seo-hoo sends her to remind her that he’ll just be gone a week, and that he’ll be able to do the benefit concert once he returns. Instead, she sits down to read Won’s script from beginning to end, unable to put it down. Won thinks about what his late teacher said to him about not living with regret as well as the high school student who asked him whether he’d given up on love with his best friend like he gave up on his dream. It’s rather convenient that Won just happened to run into his old high school teacher who just happened to have kept a script that just happened to say everything he couldn’t say over seventeen years because he just happened to finally forgive himself for the guilt he felt toward his friend who just happened to like Hana in high school and who just happened to have died for reasons unknown, isn’t it? All this time spent wondering why Won said the things he did back then, and we get less than five whole minutes to not only address the problem, but also to come up with a solution? Talk about much thunder but no rain. If we’re to follow Won’s short and mostly silent journey this hour, then the only reason he distanced himself romantically from Hana was because he didn’t deliver letters from his friend to her before said friend died? I was at least expecting a traumatic death, or more than just a passing mention about how close he and Won were. But it feels like a detail shoehorned in at the last minute when we find out in just one episode that Won not only had a friend who liked Hana and died, but that he’s been holding himself somehow responsible all these years and decided somewhere off screen that he was finally going to stop doing that. Why now? I get how his teacher’s death could have reminded him of his friend, but if his friend was the only thing holding him back from pursuing Hana, then it’s not like he’d ever forgotten in the first place. And simply because it’s been over a decade of severely repressed feelings, I have a hard time buying that he just snapped out of it because his teacher told him to live without regrets. Or because someone mentioned that he might’ve given up on Hana the way he gave up on his movie career. It would’ve been different if these were things he maybe knew in the back of his mind but never acknowledged, if not for the fact that everyone in his life but Hana seemed obsessed with reminding him that he needed to just do something already. So maybe something someone said just finally stuck, and/or this was a point the writers wanted to be at by now so they had to rush things along. That feeling of sudden and jolting forward movement in what was previously a vacuum felt a bit like being in a car that keeps stopping and starting, only the stops take hours and the starts are just brief sputters from a dying engine. Because it’s just bizarre that Hana was like a brick wall until now, enduring the disapproval of everyone she knows and even risking her relationship with her own family (for the second time! ), because she didn’t want to leave Seo-hoo. But out of the 18930238902 red flags she could’ve and should’ve picked from to make her stand, she suddenly and arbitrarily decides that this trip will be the deciding factor in their relationship? That everything she was willing to give up before is nothing compared to how she feels right now, and that him going on this trip is somehow worse than him leaving her without explanation all those years ago? Trust me, there is no universe where I’d be on Seo-hoo’s side, but I want so desperately to be on Hana’s side that it’s upsetting when she makes that so impossible. It’d be different if she was threatening to end things with Seo-hoo because of all the crap he’s put her through, but instead she made everything vaguely hinge on one trip after an equally vague conversation where we can only hope she was being coy when she said she didn’t know where she was—because I’d rather believe that than the alternative scenario, in which she could’ve just, y’know, used her eyeballs but didn’t. I just desperately want to read Won's script. Am I the only one? Oh yeah, and I bet it's better than the script of this show. The letters thing reminds me of the play of Cyrano de Bergerac. chances are its pretty much the same thing as the song the main guy in the taiwanese version wrote. That song actually went on to be a hit song, and to this day I still have fond memories of it. Fingers cross it might turn around in the next episode (?)...? The show would be over if that happened. So it wasn't enough for Won to be bullied and beaten by that so called friend who didn't have the guts to confess to a girl, he actually had to spend his whole young adult life paying for it by silently loving his friend and watching her get played by juvenile boyfriends? What? You were not seriously expecting anything to actually make any sense at this stage were you? To whoever keeps on watching, you're a strong one. And to the recaper, hang in there, your torture is almost over. I wouldn't call us viewers strong... more like masochistic. I don't enjoy watching this train wreck but I just can't look away! LOL! Better a masochist than a sadist! <>: "No, much better to be a sadist than a masochist... I am working in my next Drama already... JAJAJAJAJAJAJAJAJAJ (maniacal laugh)". *Writer(s)-nim internal monologue*: “No, much better to be a sadist than a masochist… I am working in my next Drama already… JAJAJAJAJAJAJAJAJAJ (maniacal laugh)”. @Wow!!! LOLOL! That is spot on! Male lead in 2nd lead syndrome! So right! 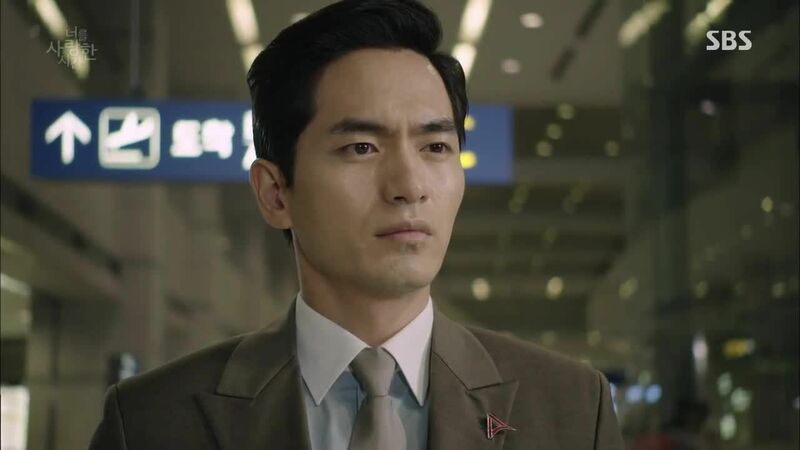 I'm watching this for Lee Jin-wook to prove that my love for him will not diminished by a crap drama. I sincerely hope he goes back to tvN for his next show (stronger shows, better characters). I really feel sorry for anyone that has to recap this show. It actually felt kind of like a slap in the face that we get our explanation of the Big Reason Won Can't Love Hana but still don't get the actual confession. It's in a script. It's hinted at because of two scenes: one, where there's a friend of Won's who likes Hana and, two, a scene to show that friend died young. Talk about feeling cheated. I'm not even invested in this secret anymore because it was literally left aside after the first two episodes and only brought back ten episodes later. It's as if everything that happened in between is superfluous - and it must be - because we must believe the real reason Won is finally ready to step up comes down to a reminder from a high school teacher and the return of an old script. It doesn't matter that he could have followed through on his resolution when SH first came back. It doesn't matter that his noona and Hana's family have been saying you need to just tell her, try, something! for almost two decades - or that it's been obvious none of his relationship work out because he can't let go of Hana. I swear, these two are still high schoolers in adult clothing. They don't act like they've learned anything at all about what is part of a sensible relationship. I'm not ragging on Won only, here. Hana is just as bad, maybe worse. The day she realizes Jerk Face hasn't changed much at all (despite ironically that she keeps pointing this out) and is just latched onto her simply because he's so determined to have his way, is the day pigs fly. Probably she'll just decide Won is the only one, and that is that. No lessons learned. The only reason I'm not feeling cheated is that I KNEW it was going to be some totally lame non-reason. Kind of made me wish for some genetic disease or something. The worst thing about this is that Hana didn't even remember the guy, so what's the point of this whole noble idiocy crap? I would actually have more sympathy for the hamster. Yes, pets are at least part of the family. And don't forget the future reveal of the other BIG secret on why jerkface didn't show up for 3 years. I bet you it's some noble idiocracy crap that will make HaNa go googly eyes on him and drop the last remaining sanity in her brain. I hope those two get married and for Won to live alone all his life. Then maybe they can feel some of the pain they made us go through. And I hope they spend 5 years in court in a massively ugly divorce fight. It's actually regretful it's not a melodrama. One or more characters could die and the survivors would live a life time of regret and sorrow. :D but the viewers will not feel any regret or sorrow! LOL! Sad isn't it that so few of us care. Hahahahahaha. Oh, my goodness. I cannot imagine being a writer and writing those lines. Awesome. Thanks for the laughs, Heads, your reactions to this ???? are priceless. I think Heads should follow this writer around and recap all their stuff, for our enjoyment. Of course, that will eventually land her in the insane asylum (with Min and LJY, hopefully) but it'll be entertaining while it lasts. Agreeing as well. This whole scene was ridiculous and I was trying to find out what the writer was trying to do. Did they think it was romantic? "Just come and find meeeeee!" instead I'm pretty sure people in the next state heard me cackling. I'm confused, when I was watching ep 12 on viki, the part btwn Seo-hoo and manager min, I read manger min saying "he didn't hesitate to sleep with the top to get to the top" I took it as he slept with her?! Idk? I may have read wrong but I see her more jealous as a scorned woman vs a wannabe mom?! Actually, yes, that was the impression I had too of the very few seconds I FFD the show... she was more like a jealous ex.... just as controlling and manipulative as Seo Hoo. They are made for each other! Hahahaha! Actually they will probably destroy each other, but like we say here.... who cares? I just don't get this emphasis on Seo-hoo's work. This is unimportant in a story that is supposed to be about two people's friendship turning into love. That's what I tuned in for, not some workplace crap drama about the worst character ever in the history of Korean dramas (I truly mean that). I thought Tomorrow Cantabile is bad remake/adaptation and TTBY is worse, but TTWNIL takes the cake as the worst adaptation! At least TC and TTBY have many cute moments and at least one of the leads is logical and/or likeable. No one in this drama ever said something makes sense any more..Sad, because I was looking forward to it and they waste the leads' talents+chemistry.. Thanks Heads for the laugh and the great recap! Oh YES! His crush is pretty obvious in the BTS - he's SO adorable! Where can I find this BTS? Seems like it'd be much more exciting than the show itself. Fated to Love You was also an awful remake. Moral of the story... no more remakes in k-drama land! Fated to Love You from ep 1-11 is fun though. To be fair, the second half of FTLY original ver was awful itself, can't completely blame the remake for failing towards the end. So, reading the script makes Hana all ready for a love with Won? I'm not cheering from Seo-hoo either, but I do wonder how she goes from major fight with boyfriend to a conversation with Won about him loving her. Is this going to be an insta-break-up and insta-rebound confession/relationship? On the Seo-hoo note, Hana's demands for him to not go on the trip are actually really controlling. She's got no trust in him (not that that is surprising) but if you make demands like that in a relationship, you're so doomed. This could have been a beautiful story. But it was royally messed up. Thanks for the recap HeadsNo2. I don't know how you do it. Knowing this kills me. So much potential that just never kicked off. SO MUCH POTENTIAL. What a waste of these actors & a great premise. Ugh. I've had a really hard time making sense of each new episode with this show and how the story is unfolding. I end up a tad confused at the end of each week and always end up here to read your (excellent) recaps, only to find that I am in fact, not crazy. The character development really doesn't make sense. Thank you for reassuring me that I haven't gone insane. The writers have. +1 ".. only to find that I am in fact, not crazy.."
Aaaaargh,i just want to scream out all of my frustration ? As always, thanks for the recap Heads! So in all the repetitious crap that's been happening in the last few episodes, they couldn't bring up the dead friend or teacher so that we at least can react emotionally to this episode? It was literally, "Oh, bye teacher we just met five minutes ago," and "Poor friend who lived and died within five minutes." All that crap about Seo-hoo and Hana, when Won's story should've been the one being told. I miss those high school flashbacks because they were always clues to Won's feelings and actions, but these writers just looooovvveeeee Seo-hoo for whatever crap reason. To complain about the writer switch again, just why would they hire newbie writers after firing experienced writers? WHY!? The first four episodes felt assured to me. What happened to the marriage bet? What happened with Won's mom? Why are the two "main" female leads suddenly weak and unimportant? I just hate how Hana's character is sinking lower and lower each episode. She started off so strong and is now this nonsensical person who we can't even connect with anymore. I didn't love the first 4 episodes, but a part of me was hopeful that the next episodes will at least address the questions they posed. The hope has all been extinguished by episode 6. Just like most (or all~) of you here, I had high hopes for this drama. Everything went down the rabbit hole just as they changed writers. And just as they introduced the 2nd lead (I can't seem to like the actor huhu). 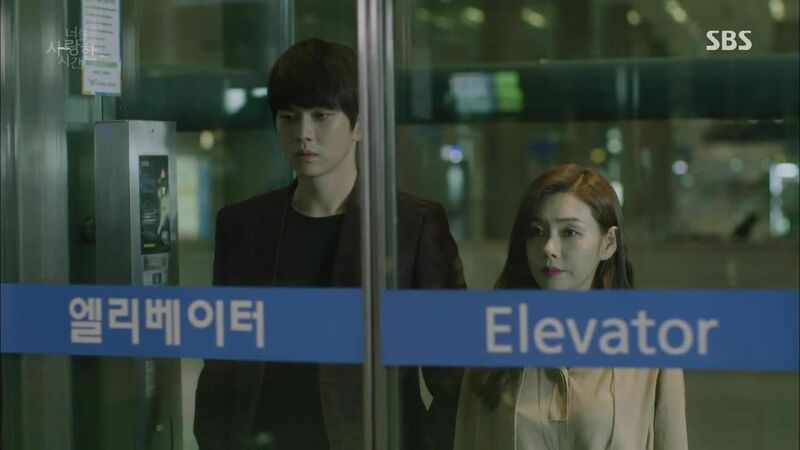 Sadly, this drama gives me the same lingering feeling and impression as I had when watching The Heirs. A lot of things could've and should've happened, but for some reason, meh. None. Nonetheless, it's * more fun* ffwding raw and scrolling the recaps (thank you, Heads!) than actually watching the show. 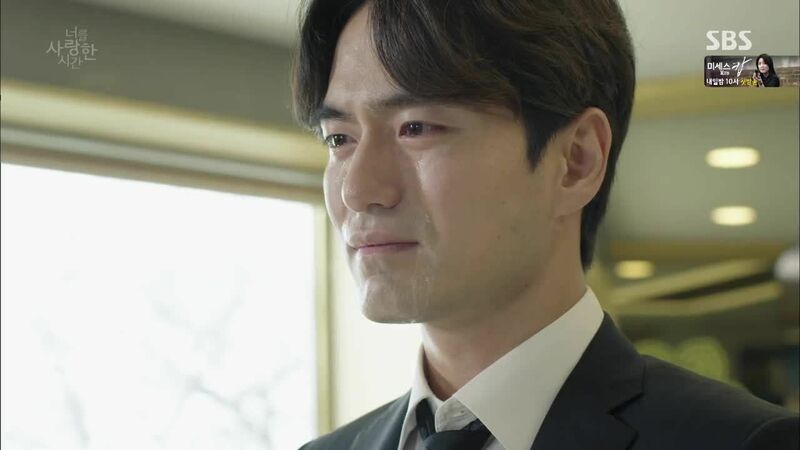 I still love Lee Jin Wook and Ha Ji Won, though. Dear HeadsNo2, thanks for the recap; especially since I know how much you love Dramas, this is your hobby, and at this moment it must feel like work (and not a pleasurable one). In TW version, there's no explanation why LiDaRen didn't confess his love to YouQing till the end, & there's a lot of frustration as well. Here in K-version, at least it showed Won's behind reason of not confession. Though it's very late, it's better than nothing. Watching this show, I thought it was like seeing detective or investigative drama rather than roncom. There are lot of ambiguities & questions which I'm not sure after it finishes I will understand thoroughly of what I sees. Yes, the original dragged too (and I don't particularly care for it) but Li Daren's and YouQing's personalities were different. Li Daren had a puppy-dog personality and YouQing was much more a powerhouse (like, I could why Daren almost didn't dare confess to her) and much more attached to the love rival (Hana seems to be uncomfortable with Seo-hoo all the time, since they got back together). Plus, Li Daren actually spent part of the drama in a relationship with someone else – someone who obviously wasn't the right person for him, but at least he tried being in that relationship. Here, there's just something really off about the characters that makes me fail to understand 1) why Won didn't confess all this time (unlike YouQing, I really don't think she was going to bite him or something!) and 2) why Hana liked Seo-hoo in the first place and why she gave him a second chance. I found the original as infuriating and boring as the remake. I just have no patience for any of these people. In the original, the reason for not confessing was given I think, but a little lame. Something to do with how he had to cope with his mum and sister who were both giving problems in a way so he felt he could not handle having another complicated relationship with a strong headed YouQing. This drama is like a bad fan fiction version of the original - all angst, no logic. I'm glad I stopped watching after ep 4....I read the recaps occasionally and wow, it's bad. Seeing how it makes me roll my eyes just by reading the recaps, I'm happy I stopped watching it. This drama is a terrible waste of potential and time, I feel so bad for the actors. I can't believe the writers reduced Oh Ha Na to a whiny insecure girlfriend who puts an ultimatum on her boyfriend over his work. He has been a jerk since day one but the only thing that bothers her is him leaving? This is ridiculous. And don't let me start on the reason behind Won's "I will never love you" 12 episodes to get a 5 minutes explanation...WTH?! So now that we finally got Won's big reveal behind us, I'm thinking the reason what's-his-name's mysterious disappearance would be a child he conceived with his boss. Now he is going back to get it. Only way that'd make me stop wishing him the worst things possible, is this. Parent's disapproval is a no-go. Although that engagement was too shady to begin with, for all we know he just realised that HANA+WON are meant to be. And since I'm basically watching this for HA JI-WON+LEE JIN-WOOK, I wish the last two episodes to show HANA+WON being lovey-dovey gross. Preferable married with kids. Go wild or go home, writer. ;-). Thanks HeadNo2 and hang in there! I have to admit, I only started to read you recaps since four episodes ago to see whether what I'm seeing is really what's presented by SBS. This could have been the turning-point episode. Instead it became the oops-stuck-in-rewind episode. 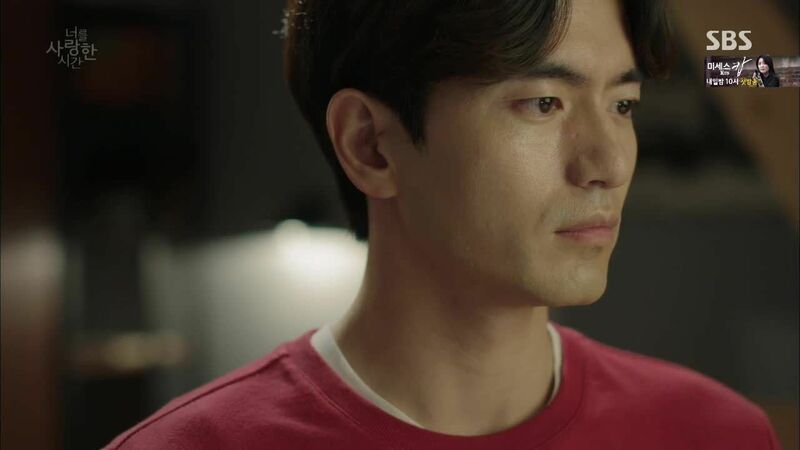 Because yikes we're right back again to where we were (judging from the previews for next week) Hana is still dating Seo Hoo, and Won is still stoic with his "Hana will be fine" while folded up with longing on his living room couch. Yeah um...no. This is not a cute show anymore. 1) RIP Deus Ex Professor, we hardly knew ye. Also, his hundreds of pictures of underaged teenagers was exactly as creepy as it sounds. 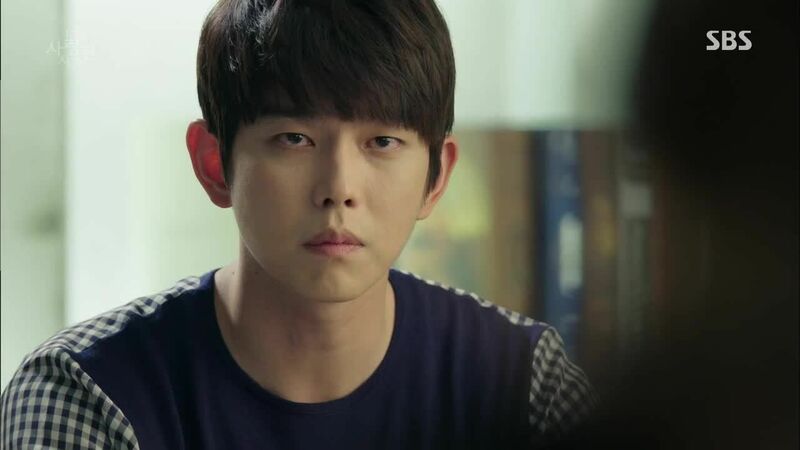 2) You guys, I was prepared to be annoyed over Won's dumb secret but it was even DUMBER than I thought Cancer, Fauxest and Interfering Parents put together would have been less aggravating than "I'm sad because I did a douchy thing to my friend and then he died." Really? Really? REALLY? Was this the reason in the original? If so, I hate each and every one of you that claimed it was a good show! I'll never forgive you. 3) Even though her reasoning is overly nonsensical, I hope Hana sticks to his guns and dumps Murder Eyes because I cannot take another second of his whiny neediness. And if I have to watch him grab her in another uncomfortable wooden embrace I will lose it. 4) I'm glad Hana clarified that she never believed that Won would love her because she's been getting a lot of undeserved hate for "breaking his heart." (Not that there are not many reasons to hate her that she does deserve). I've always been on Team Not A Confession when it comes to those words he said that one time. We know how he feels and we can't even agree about whether it was a confession so how was Hana supposed to pick up on it when he's been adamant for two decades that he doesn't love her. 5) Does this mean that those boys beat Won up because he liked the same girl their dead friend liked? Who are these kids? The only way I will excuse all of theses people making such a big deal about this is if it turns out that the kid committed suicide because he thought Hana rejected him... Even then, it's too much. But at least that's a conclusion that requires critical thinking skills on their part. To be honest, I'm only watching the drama for HJW's outfits. I've lost interest since the third or fourth episode. This is such a disappointing drama and wasted talents. they do have "find friend" apps on naver/korea, don't they? she's either at work, at the shoe store, or on the way home. she doesn't seem to have much of a life outside of that. Most of the time, the drunk person calls someone, and the chaser miraculously find them at any one of the 2000 corner night drinking stalls in town, and offers a swooning piggy back ride home. i fail to see romance in finding a lost puppy/hana. i've tried watching this, but it's so hard. just skip an ep, flip back in the next, and the plot is still the same. Hana is still an idiot, and Won has no guts. SeoHoo has scary eyes. And why would the assistant like the unemployed bro? I am actually watching the show still. I appreciate the recaps because when a show gets bad I always wonder if it because I missed some cultural or linguistic context clue. Your recaps help me realize that it is not a language barrier, but just poor writing. Thanks for keeping on. From this point, I suggest this drama continue in the most senseless way ever because it never made any sense anyway, and nobody cares about any of the characters anymore. I hope Hana and Seo Hoo get married, get divorced, Won can keep pining, and everyone ends up unhappy. WHATEVER. I can't stand of that 2nd male lead. Not because his character... But it's like He's soooooooooooooooooooo 'empty' , no 'soul' at all Really not match to HJW ??? This drama has very slooooowwwww…..dialoques. 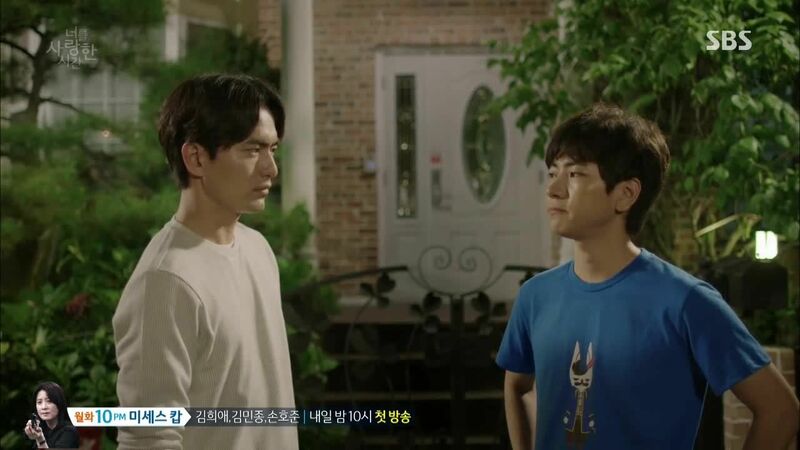 Compare with some of popular romcom dramas like Full House, Coffee Prince, INR series, Discovery of Romance, Oh My Ghostess and many others, those dramas provide the characters with fast dialogues whether bickering, in sync or when playing with deep emotions. But in here, everything comes so slow. Take example when they wanna say "what do you mean?" 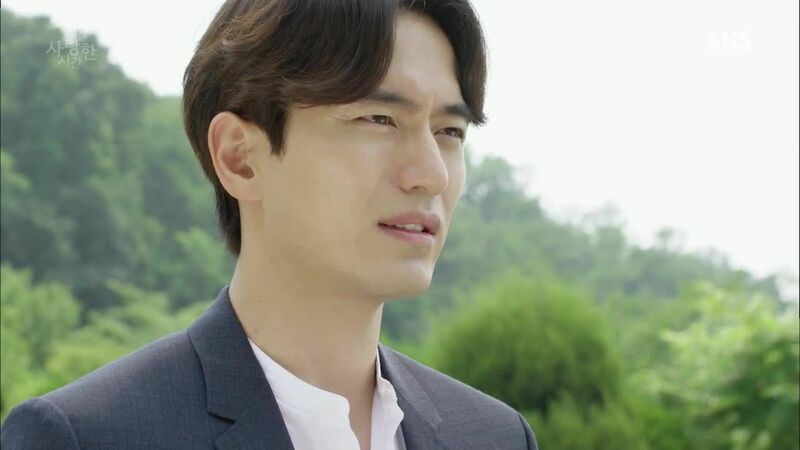 but the actors (Ha Ji Won, Lee Jin Wook and second leads) will deliver like "what…do….you…mean..?" Gosh…so frustrating. Despite the writings, acting and directing also has problem. The only good thing in this drama is Hana's styles. I appreciate both the contempt and determination present in every recap. I'm not watching the show (thank you Heads), but I can't stop reading the recaps. I sympathize with everyone who actually does watch and can't stop.